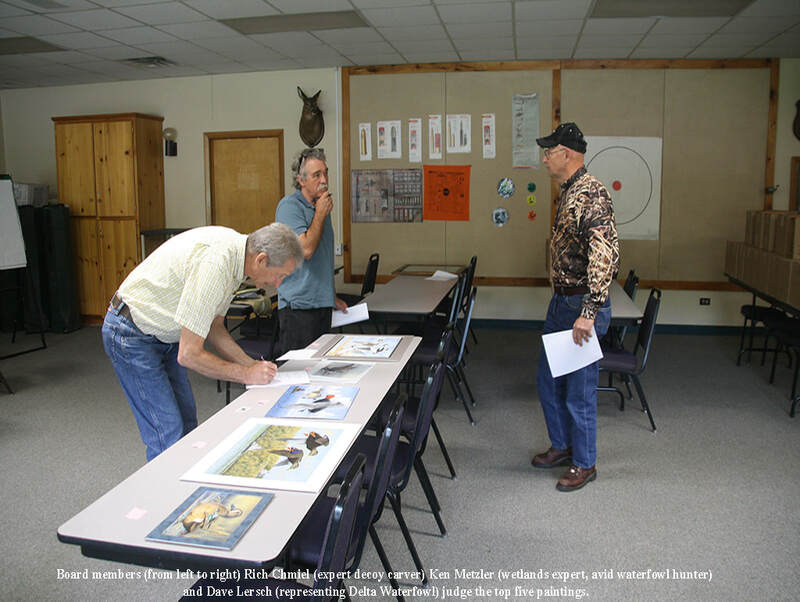 The Citizens’ Advisory Board for the Connecticut Migratory Bird Conservation Stamp program (“Duck Stamp Board”) selected the winning painting that will be used for the 2019 stamp at its annual may meeting. 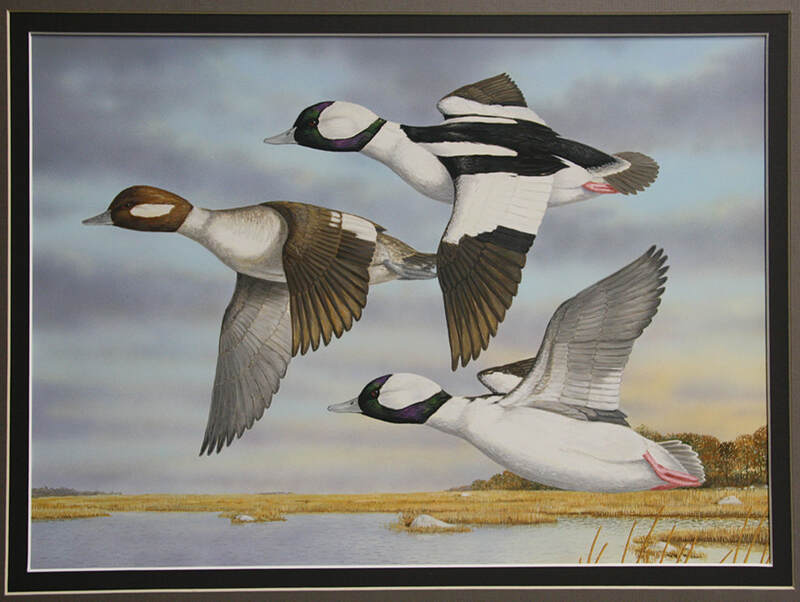 The brightly colored painting depicts three Buffleheads in flight. It was created by Jeffrey Klinefelter of Etna Green, Indiana. This is the second time Jeffrey has won the Connecticut Duck Stamp Art Contest. He won the 2015 contest with his rendering of Atlantic brant flying by the old New London lighthouse. An avid outdoorsman, Jeffrey hunts with his camera, taking photos of many of the subjects of his artwork. He has been the winner of many other state duck stamp contests including his home state of Indiana, Delaware, Nevada, and South Carolina. 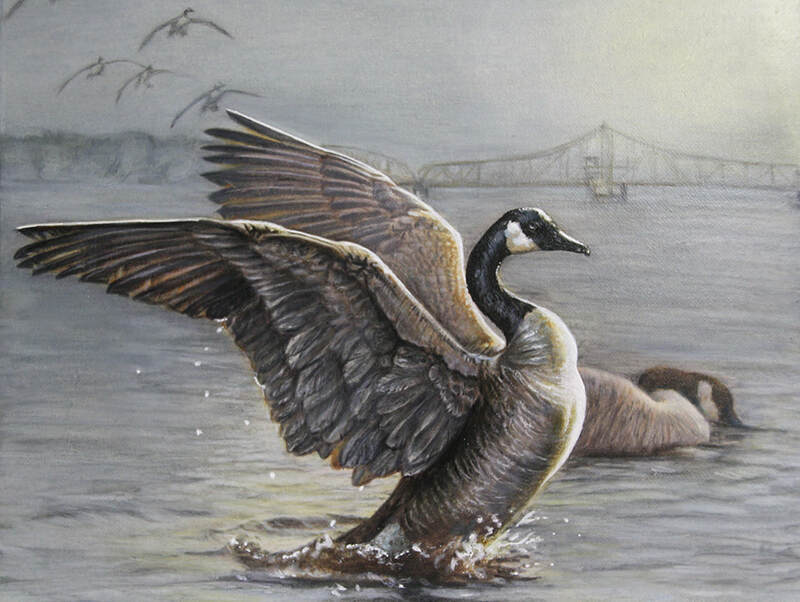 Connecticut native Melissa Barker came in second place with her unique painting of Canada geese near the East Haddam swing bridge.